Wangdue Phodrang is the last western town on the central highway to the far east. The town is no more than an enlarged village with a few well-provided shops. 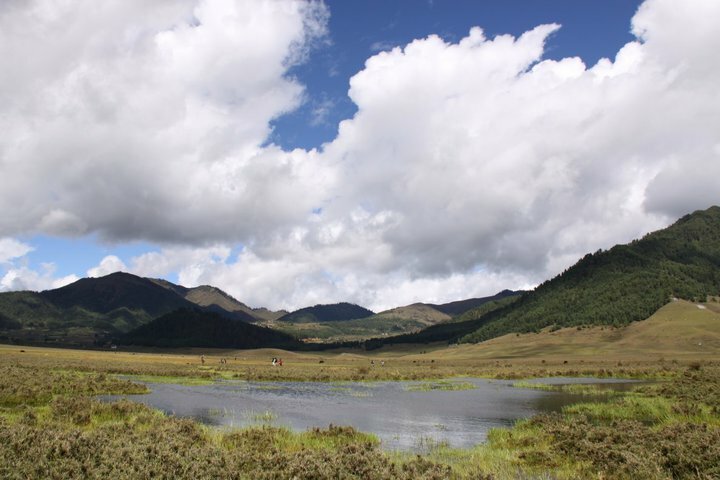 Located south of Punakha, the higher reaches of the Wangdue Phodrang valley provide rich pastureland for cattle. This district is also famous for its fine bamboo products, slate and stone carvings. The second dzong built by Shabdrung, in 1637, on a strategic junction at the confluence of Pho Chhu and Mo Chhu rivers, Punakha Dzong has played a hallowed role in history of Bhutan. It served as the seat of Shabdrung’s government, several foreign delegations were received here in 18th and 19th century, the election and coronation of the first King was observed 1907 and the Third King convened the first National Assembly in the Dzong. The central monastic body continues to reside here in winter. The embalmed bodies of Shabdrung Ngawang Namgyal and Terton Pema Lingpa are kept on the top floor of the main tower.Damaged by four catastrophic fires and an earthquake, the Dzong has been fully restored by the present King from the latest fire in 1987. 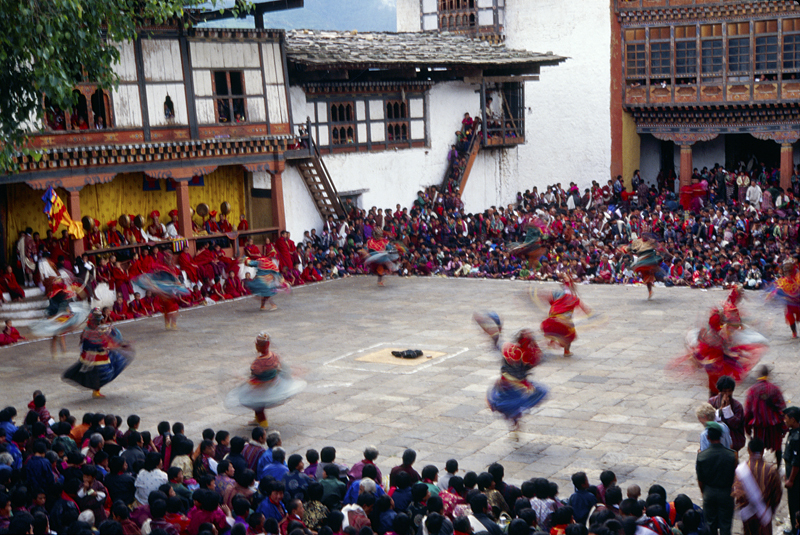 The Dzong is open for visitors during Punakha festival and in summer months when the central monastic body moves to Thimphu. East of Wangdue Phodrang, the great monastery of Gangtey dates back to the 17th century. Since the western part of country is predominantly Kagyu School of Buddhism this monastery holds the unique position of being the only Ngyingma monastery in the west. The present lama, Gangtey Trulku is an incarnate of the famous Terton Pema Lingpa of Bumthang. A few kilometers past the monastery, on the valley floor is the village of Phobjikha. This place is the winter home of black-necked cranes that migrate from the arid plains of the north to escape the harsh winters.